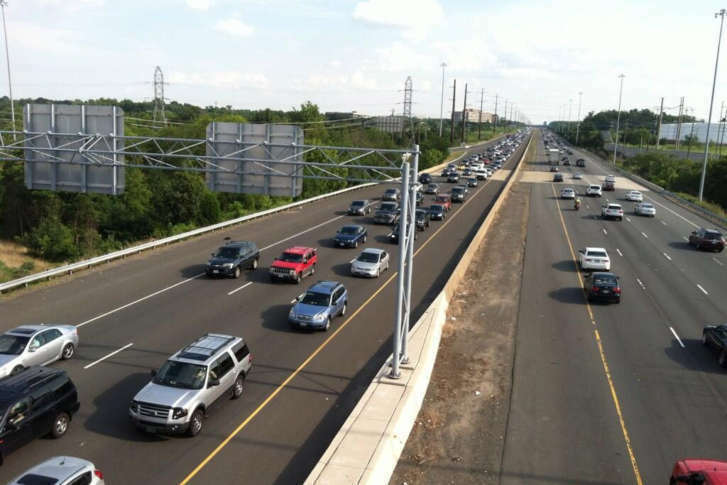 Northern Virginia leaders are set to celebrate the completion of a project that widened Route 28 near Dulles International Airport while more projects are in the works to relieve congestion along the busy highway. FAIRFAX, Va. — Regional leaders are set to celebrate the first round of improvements to the constantly clogged Route 28 in Northern Virginia on Wednesday. A formal ribbon-cutting ceremony will mark the end of a series of widening projects near Dulles International Airport in both Fairfax and Loudoun counties, as work on other projects continues elsewhere along the corridor. In Loudoun and Fairfax counties, southbound Route 28 has been widened from Sterling Boulevard to U.S. Route 50, and northbound Route 28 has been widened from McLearen Road to the Dulles Toll Road. “This is an important project because it’s going to relieve a tremendous amount of congestion in one of the most strained corridors in the entire region,” said Marty Nohe, Prince William County supervisor and chair of the Northern Virginia Transportation Authority. Some 125,000 cars use Route 28 each day, according to the authority. Nohe describes this as one of the first large-scale projects completed with the new Northern Virginia regional transportation funding, which was established under a 2013 law signed by then-Gov. Bob McDonnell. “Here we are, just 3.5 years later and we have a major highway that has new lanes moving in each direction that not only relieves congestion in one jurisdiction, but actually ties together Fairfax and Loudoun County, and that’s what the idea of a regional transportation solution is all about,” Nohe said. Other Route 28 work is underway in Prince William County. Some of those plans were delayed by the price tag. An authority study for a Route 28 bypass north of Manassas is nearly complete. It is expected to suggest an extension of Godwin Drive to near where Route 28 enters Fairfax County over Bull Run. “That will allow us to add a lot more capacity to the corridor to get people from the western part of the region up to the new toll (lanes) on I-66,” Nohe sad.